French doors are available in a wide range of styles and finishes and can be manufactured to either open inward or outward. The Plastech In Line Patio door range comes in a slimline profile to compliment either the Decorative or Chamfered window profiles and are available with up to 4 panels. 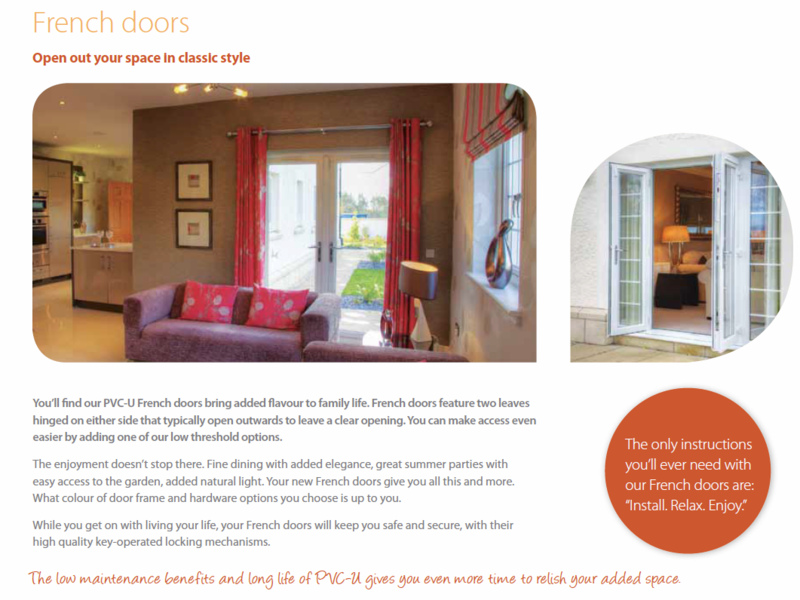 For more information about our range of french doors or any of our other products, please contact our team here at Plastech today!